The ITAA is very proud to be hosting the 2018 Northern Regional Outdoor Championships. It looks like archers beat 8 national records, as well! One archer shot scores for both her Silver and Gold Olympian pins! The 2018 Northern Region Outdoor Championship – Duel in the Cornfiel is done. Once again we’re on the off-ramp of another big ITAA event. Thank you to everyone who participated, volunteered, or cheered on the event from our far-flung locations this summer. Especially thank you to Randy Rutledge, Bruce Berkshire, Jan Berkshire, the Chicago Bow Hunters, Inc. Kitchen Team (Captained by Gwen Sanborn), and all of the volunteers. While I get the loudest microphone, by no means am I doing the most work or making the biggest impact on how excellent these events are. We were able to see how the DuPage County Fair & Fairgrounds worked for an outdoor event. Since we’ll be back there in Mid-August for the 2018 ITAA JOAD Outdoor State Championship and 2018 ITAA Outdoor State Championship, now we’ll know the ropes even better. Personally, I loved having the trains rumbling past behind the targets. I’ve been looking forward to that feature for months — I think it adds a fun unique part to the venue. The full results are available above. Spoiler Alert: Team Illinois swept the State vs State Duel competition. The adults won with good scores, but also by home-field advantage, because the other states didn’t bring a full team. 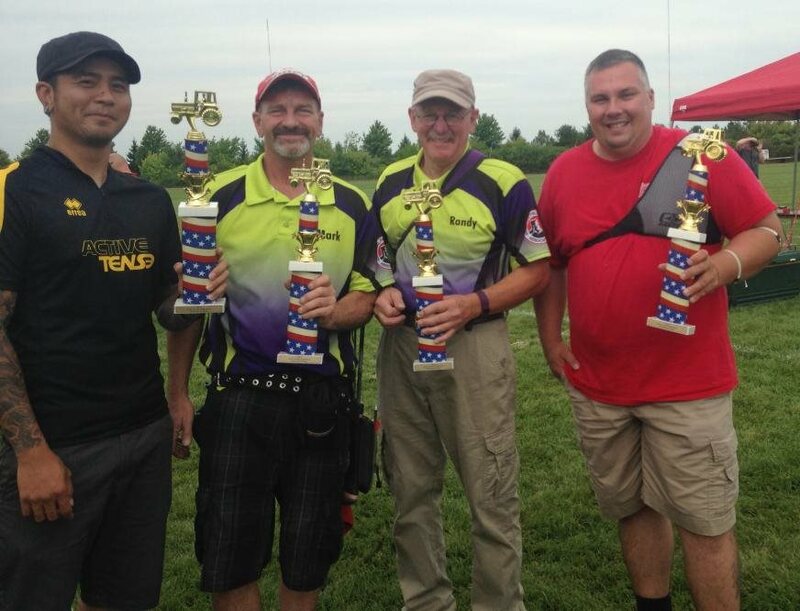 The Illinois JOAD Duel team faced real competition, and four excellent performances sealed the win. The first round of photos of the event are posted on the brand new ITAA Shutterfly area. We’ll keep growing this as more photos roll in. Hopefully that becomes an easy way to share event photos so they don’t remain unseen and uncelebrated on your camera’s memory card forever. This weekend saw Maggie Baus shoot both her Silver and Gold Olympian pin scores. Nancy Zorn and Nathan Zimmerman both broke 2 national records each for both the 720 Round and the Double 720 Round. Beyond the numbers there were many other excellent stories of tournament growth, challenge, and success. Nock and Feather just started a JOAD club this winter, and this was the very first tournament experience for a lot of their archers. The 49 new Illinois State Records can be viewed over on the ITAA Record Score page. As always, I’d love to hear your feedback — the good, the bad, and the in-between. We work hard to build a great experience, and your ideas and observations help us make the next one even better. Make sure to register right away for the 2018 ITAA JOAD Outdoor State Championship and 2018 ITAA Outdoor State Championship in Mid-August. You won’t want to miss the JOAD Top 8 Shoot Down. Thank you and congratulations to the whole Team Illinois community. This event goes by many names — the North Regional Outdoor, the Duel in the Cornfield, “The Tractor Shoot”, and others. The USA Archery Northern Region is the collection of northern/midwestern states — IA, IL, IN, KS, MI, MN, MO, ND, NE, OH, SD, WI. This tournament crowns the annual outdoor archery champion for all of them. In addition to the individual competition categories, this event also comprises the Duel in the Cornfield competition of state-vs-state teams. The top few scores from each state are combined to represent their state. These state teams with the highest total scores win the Duel in the Cornfield trophies (which historically have had a tractor on top of them — hence the name of “The Tractor Shoot”). This event grew up in Indiana, and has been held in Ohio for the past few years. This year it will be in Illinois. So save the date, gather a truck full of archers, and come shoot in Chicagoland. At its bare bones, the North Region Outdoor Championship is a 2-day Double 720 Round. Participants will shoot a 720 Round score on Saturday, and a 720 Round score on Sunday, high score wins. But we’ll be building a lot of extras around those bare bones to make a great event! More information and links to the registration will be posted here as they keep coming in. The listed time is the time for the first practice ends. We recommend arriving an hour earlier to set up your equipment and check-in. The North Region Outdoor Championship is a double 720 Round. 72 arrows Saturday, and 72 arrows Sunday. This is a single-distance event, with distances determined by your age class and equipment division. Per-Family fee maximum is 2.5x the individual rate ($175/$200). Due to the online payment system, family pricing will be in terms of a refund, which will be processed at the time of registration check-in. Cancellations: Prior to the 30th of June you will receive a full refund less 20%. After June 30th there will be no refunds available. USAA and World Archery rules apply. Distances, ages, dress code, arrow diameter, etc. The Duel uses the combined scores from Saturday to pick the 2 best compound and 2 best recurve archers from each state to form the state’s team. Those 4 scores are ranked against the 4 score teams from every other state. There is no additional cost to compete in the DUEL and we have added a youth DUEL as well. Which state has the BEST archers? The following classes will qualify to compete in the DUEL—Remember it’s the top 2 Recurves and top 2 Compounds for your state that count for the overall score. We will also have a Junior DUEL. This will include the top 2 Recurves and top 2 Compounds for your state to count for the overall score. We will use the combined scores from Saturday and put the teams together based on that. Those combined scores will determine which state wins the Duel in the Cornfield. The states that can compete in the DUEL are the Northern Region States: North Dakota, South Dakota, Nebraska, Kansas, Missouri, Iowa, Minnesota, Wisconsin, Illinois, Michigan, Ohio, Indiana. If a state doesn’t have a full set of 4 scores for a DUEL team, we will still count the scores that they do have. A set of 3 awesome scores can still beat a set of 4 less-awesome scores. We will be using the north fields, with a layout that should be especially visually exciting. 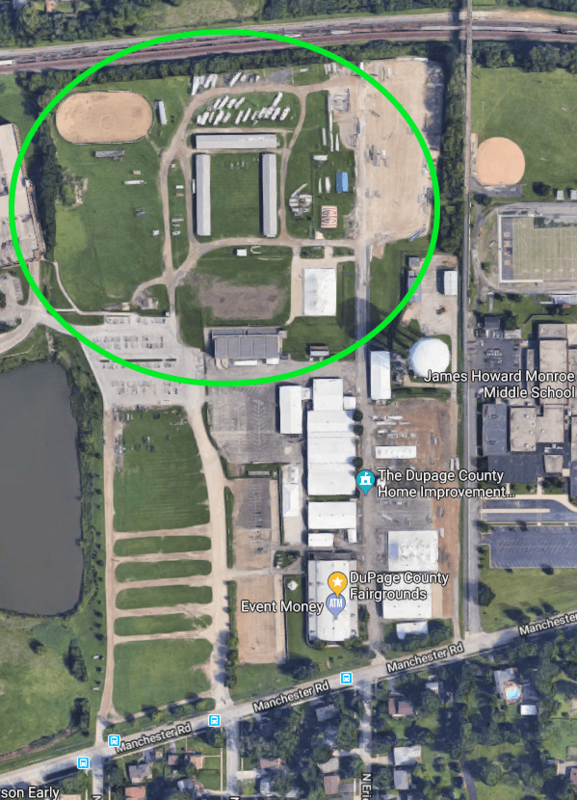 The Fairgrounds are accessible from several interstates, from both Chicago airports, and by transit using Metra (train) and Pace (bus). Blackwell Forest Preserve has 60 wooded or semi wooded sites for tents, trailers, or motor homes. Each has electricity and a gravel parking pad fire ring and picnic tables, but no sewage or water hookups. Go to DupageForest.org for registration. Blackwell also has 70 meter archer range open to All at no charge. The bicycle trails in Blackwell connect to hundreds of miles of trails in the Illinois Prairie Path. The preserve also has fishing, an off leash dog area, and a compass course. Wheaton is an upscale suburb of Chicago. Its downtown is full of excellent restaurants, boutique shops, and amenities. Whether you are looking for sushi, coffee, a microbrew, Chicago Deep Dish Pizza, or an escape room, downtown Wheaton can meet your need. 2 miles – 7 min drive time to the range. 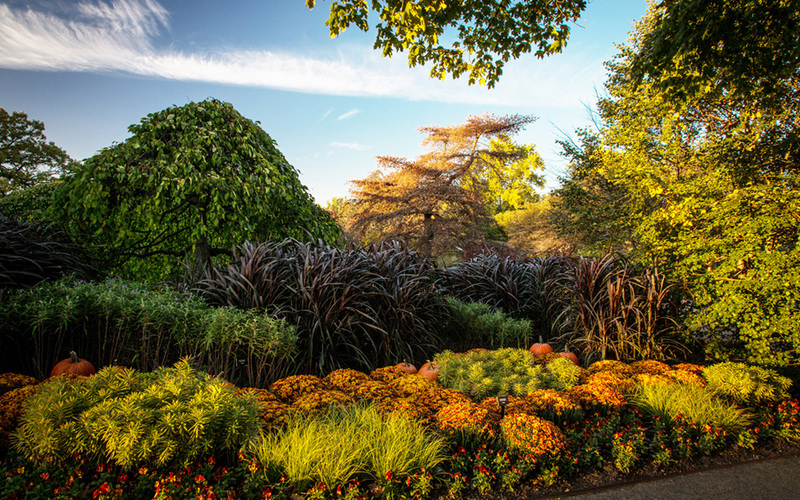 Cantigny Park is 500 acres of walking trails, gardens, museums, and playgrounds. 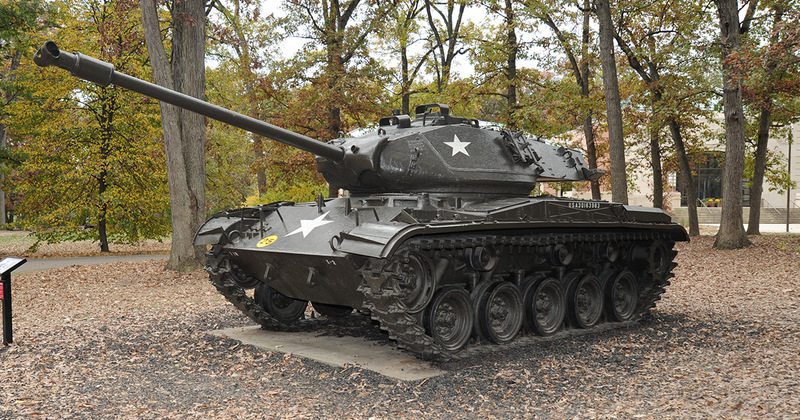 The First Division Museum and its climb-on park full of real tanks and artillery pieces. Cosley Zoo gives visitors up-close interactions with nature right in the heart of the suburbs. Nestled on 5 acres, Cosley Zoo is home to farm animals and native Illinois wildlife. The Morton Arboretum is a 1,700 acre celebration of trees, founded by the Morton Salt family. When the Morton Family originated Arbor Day, they took it seriously. Large enough to require a bike or a car to fully explore, this park changes every week as new leaves and blooms come into season.